The choice of noxious or stinging organisms as decorations implies that attaching them provides protection from predators by aposematism (warning) rather than by crypsis (camouflage), and there is direct observational evidence for this, e.g. that octopuses in tanks avoided decorated crabs. The relationship of crab and organisms such as sea anemones used as decoration may be mutualistic, offering protection to the crab and food to the anemone. The crab tears a piece of adornment in its claws, chews it, and then rubs it firmly on its body until it catches on the “Velcro-like hooked setae”, curved hairs which permit camouflage materials to be attached. The carefully chosen decoration is supplemented by cryptic behavior, such as remaining still by day, and freezing when predators approach. 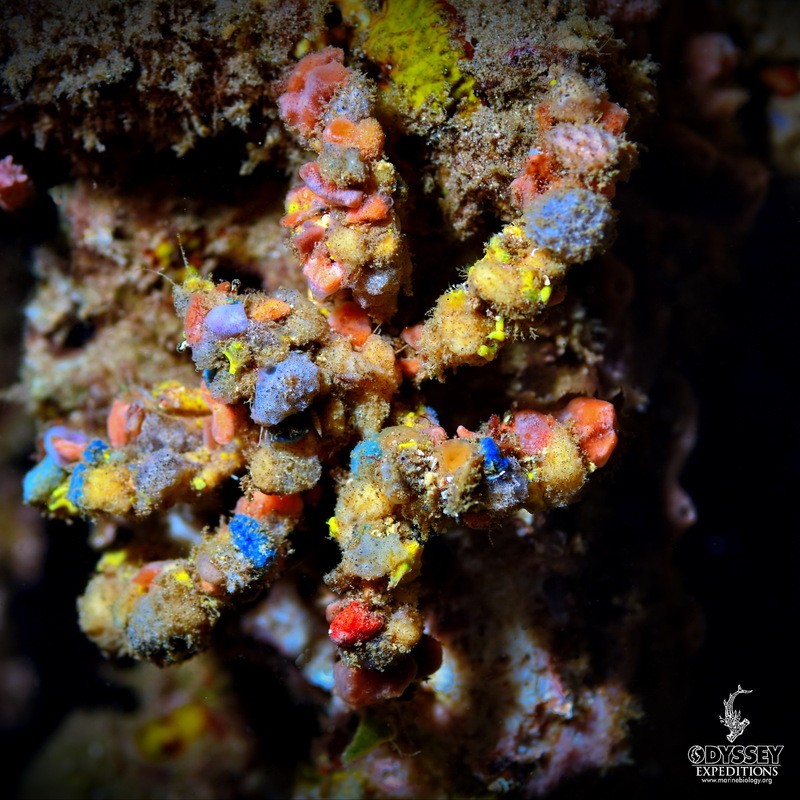 Candy Crab – Hoplophrys oatesi – A very colorful crab that grows from 1.5 to 2 cm. It lives on various species of soft coral in the #Dendronephthya genus. It camouflages itself by mimicking the colors of the polyps among which it hides. It adds further camouflage by attaching polyps to its carapace. 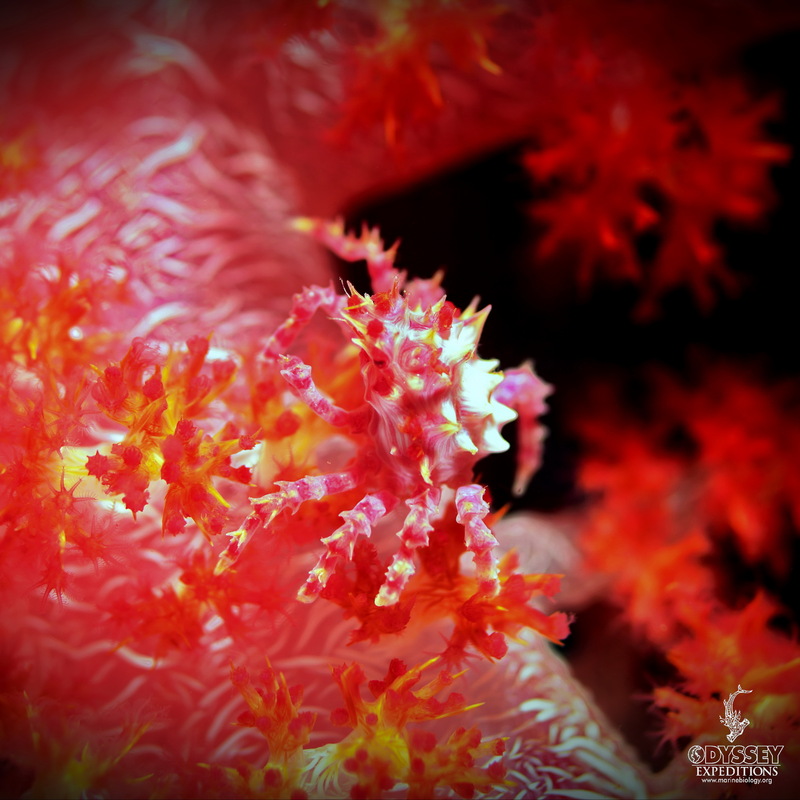 Colors vary depending on the color of the coral, and may be white, pink, yellow or red. The first pair of legs of this species has small claws. The body has pointed spines with a red and white pattern, similar in appearance to the host coral. 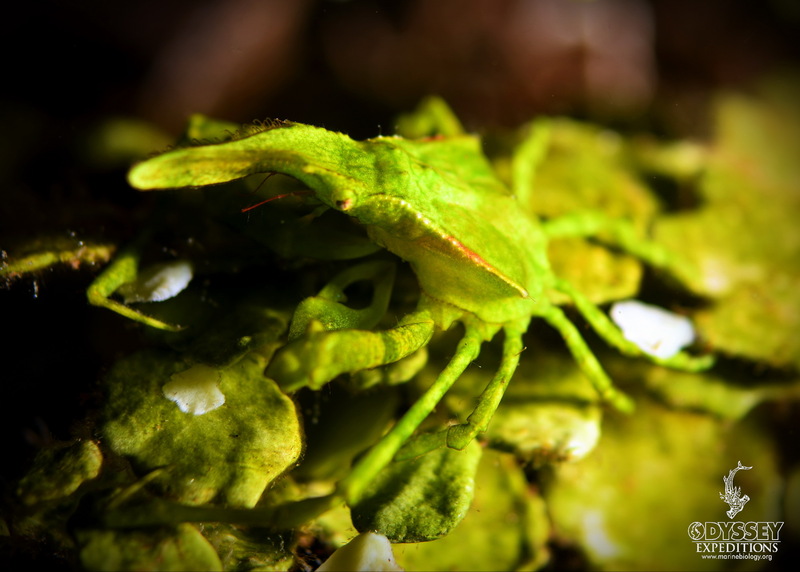 Introducing Huenia heraldica, the Halimeda Crab. Its ability to camouflage in Halimeda algae (duh!) is nothing short of remarkable. Halimeda algae is a smart object to mimic since very few organisms enjoy dining on this hard algae. This species is a decorator crab; It sometimes attaches rigid fronds of halimeda algae to its rostrum in front of the eyes to enhance its camouflage.